I live with someone who does not enjoy horror films, so when she’s away, I often rent them. This last weekend was one such occasion, so I watched two films, 1973’s The Legend of Hell House and this year’s Hell Baby. The former is an old standby, the latter a brand-new stink bomb. Richard Matheson (1926 – 2013) wrote a lot of horror, fantasy, and science fiction, and wrote almost as many screenplays for television and film, often adapting his own work. So he knew what he was doing when he adapted his novel Hell House for the cinema. I recall reading the original novel many years ago, and the movie is a reasonable adaptation, given the desire to avoid getting a film rating that would bar teenagers from watching it. Pamela Franklin, who always looks so young in films, carries this picture as the psychic medium who is seduced in more than one sense by the house. 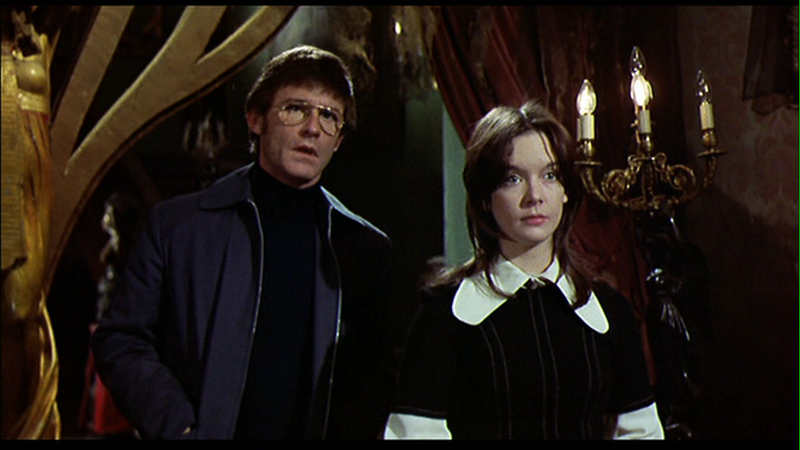 But my favorite is Roddy McDowall’s performance as the survivor from the last investigation. While he has agreed to join this investigation, he is haunted by the previous failure, and refuses to actively investigate the house any further. Ironically, his refusal, by making it harder for the house to manipulate him, gives him the perspective to solve the mystery of Hell House. All in all, a nifty bit of fun. The Legend of Hell House won’t knock your socks off, there’s not quite enough psychological tension for that, but you’ll appreciate it. And it avoids the splatterfests that dominate the contemporary horror film genre. It’s a restrained horror flick. When the poster shows a scene that’s not in the film, be on your guard! “Restrained” is probably the last word one would use to describe Hell Baby. This film was apparently meant as a send-up of the horror film genre. It’s easy to see its roots in The Exorcist, Ghostbusters, Rosemary’s Baby, Psycho, and a host of other notable and forgettable films. And that creates one of the problems that dooms this film. You have to respect the material to send it up effectively. Hell Baby is so busy making fun of everything, that it lifts only moments from films, not their context. For example, our Exorcist–Ghostbuster–Men in Black pair of priests are so busy getting to plot points that they lack personalities. They just tell jokes and move on. There are so many possibilities for humor in giving these guys a bit of soul. But Hell Baby is soulless. And that’s the other problem with the film. A comedy, a parody, should make one laugh. This one does not. Now it could be that there is a deep, sophisticated sense of humor going on here, laughing at the absurdities of the world through a grotesque reflection of its self-imagery. . . . Nah, the jokes are just bad. They lack wit, they lack build-up, they lack humanity, and they aren’t absurd enough to get you laughing on their own. So what’s it about? A very pregnant woman and her husband move into a haunted house, where she is possessed by a demon. The woman is expecting twins. When they are delivered, one of them turns out to be a demon. It is killed. The end. Oh, and there are a lot of side plots and characters that are as funny as my description of the main plot. The trailer for this disaster is actually quite entertaining. Had that been all they filmed, we might think we were missing a classic. And I’m a fan of Riki Lindhome, the blonde half of the singing duo Garfunkel & Oates (though don’t get me wrong, I’m a fan of Kate Micucci, the other half, too), so I thought I’d watch the film. Her character actually has comic possibilities, but falls as flat as everything else in the film. Though now I know what she looks like without clothes. The sad thing is that I can see a truly funny movie buried in the ruins of Hell Baby. Or maybe I just saw the trailer too many times. This entry was posted in Reviews and tagged haunted house, Hell Baby, horror films, review, supernatural, The Legend of Hell House. Bookmark the permalink. How funny – I watched The Legend of Hell House for the first time last week. I really enjoyed it, although I thought the denouement was a little silly. There’s something extra spooky about 60s and 70s horrors I think, something to do with the slightly creaky production values perhaps? There are a few explanations missing at the end, too, if you think long about it. But that’s not what horror movies are for. I know what you mean about the films from that era. The production values are definitely part of it. I think they forced a bit more subtlety on the movies, a bit more reliance on atmosphere, since special effects couldn’t carry the day. The horrors hid in the shadows. It gives them almost a Victorian feel, even when set in contemporary times. And the music too. 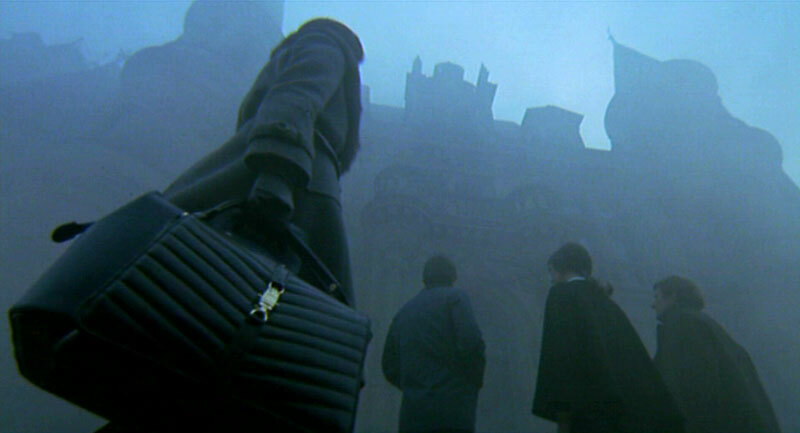 There’s definitely something about the spooky music from films of that period…very unsettling. That’s one component, but by no means the only feature of the horror movie music of the period.